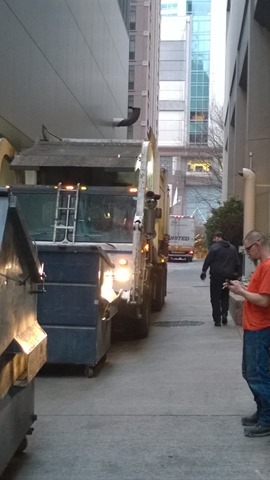 Early start this morning – head into Seattle to meet a truck and driver delivering a Perceptive Pixel 55” interactive touch screen for an event this evening. 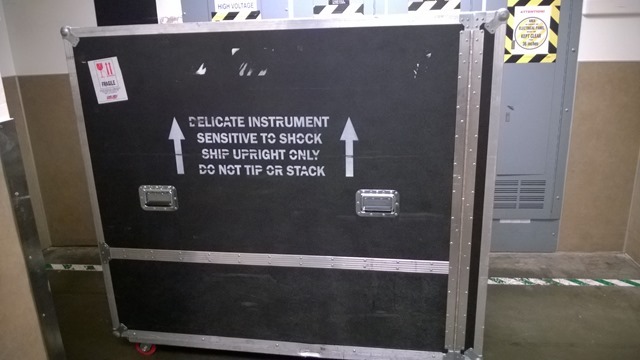 The screen and PC are not too big – but they are fragile and expensive – so the shipping case is enormous! Over 1200 pounds (500kg) of wood, steel, wheels and hardware. Delivery was an adventure; two hotels with similar sounding names within 100 yards of each other; narrow alleys; rubbish collection; cyclists and bad drivers.